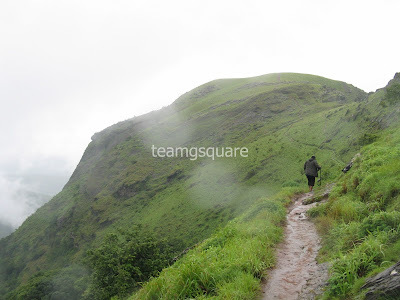 "Kemmannugundi", also known as Kemmanagundi is a hill station located in Tarikere Taluk of Chikkamagaluru District. 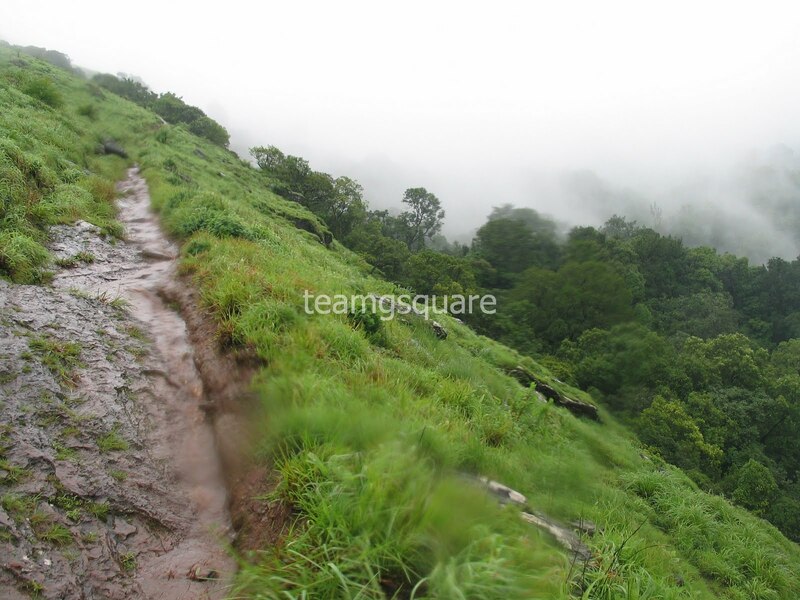 It is located at a height of about 1500 mts above mean sea level. 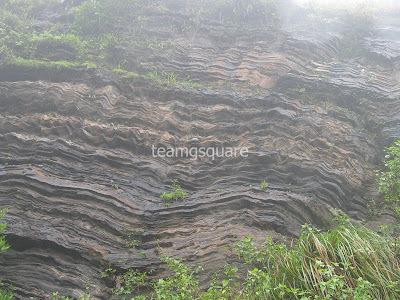 The name 'Kemmannugundi' is a combination of three kannada words Kempu (Red), Mannu (Soil) and Gundi (Pit) and is attributed to the nature of soil available locally. 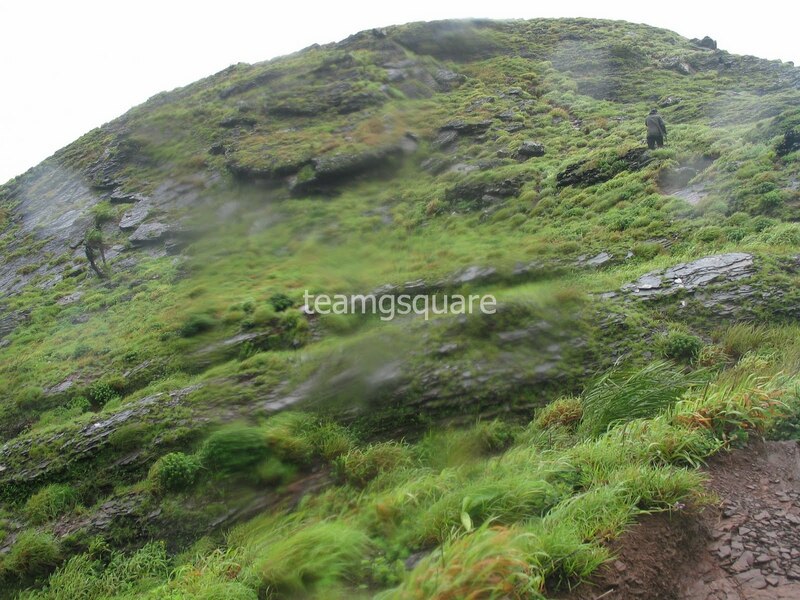 The place is pristine and the monsoon rain only added to the beauty of this place. 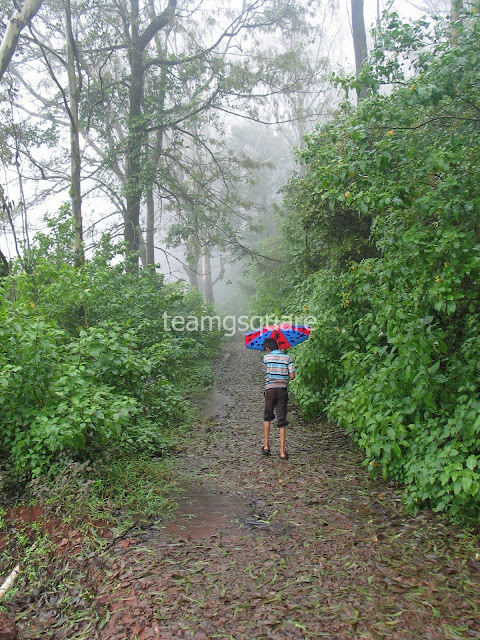 We were accompanied by rain through out our journey and thoroughly enjoyed nature. We knew by name about a place called Z point, and when we inquired with a local, he advised us to avoid getting there and did so without giving us any satisfactory reason. Though confused, we did not want to miss this chance and proceeded. 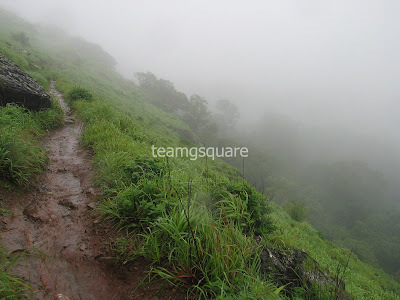 A trek of about 4 kms takes us to a popular view point called the 'Z point' (called so because of its resemblance to the letter Z when seen from far). 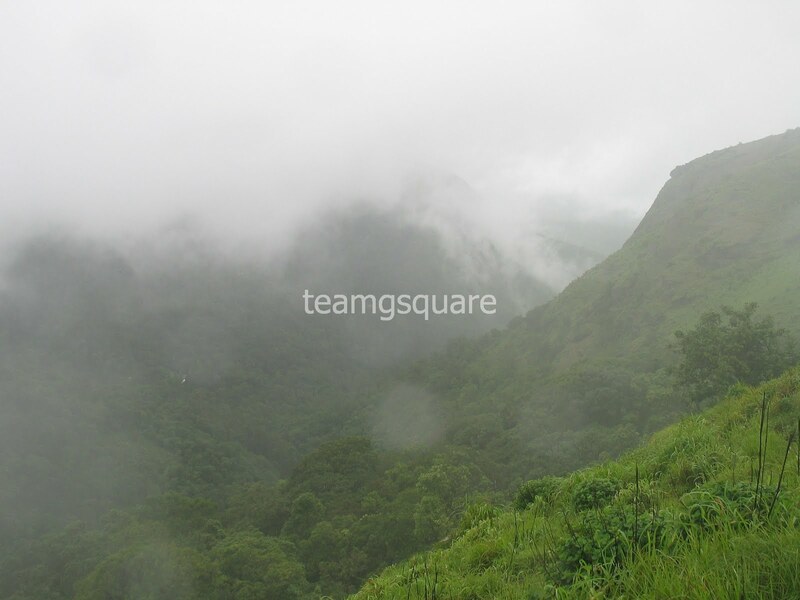 The place being situated at a high altitude, is known for its strong winds. We trekked towards Z point braving leeches and crossing wet and slippery pathways with almost zero visibility at times. 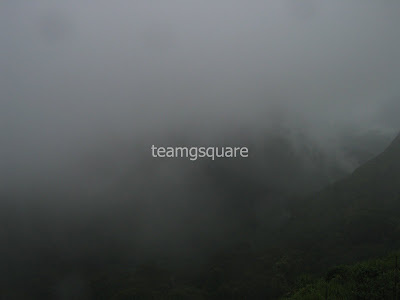 Though the view was foggy for most of the time, we caught glimpses of the wonderful view from top. 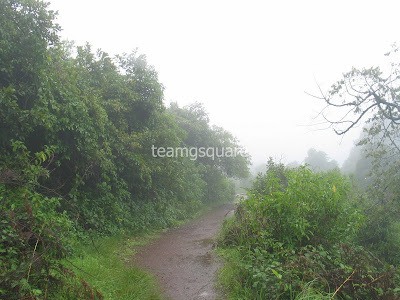 The lush green carpet with drops of rain, the white fog and the red colored soil that made for the pathway proved the best contrast. The trek was as exciting and adventurous as it could get. Walking along the edge of the cliff with pathways at some stretches turning into waterways as it rained, we managed to cross and reached the final stretch. From far behind the final stretch, it looked as though steps were laid and we could reach the peak easily. But, half way ahead we realized it was not as easy as we thought. All of a sudden we were dragged in the direction of wind and the winds were strong enough to have pushed us aside if we had proceeded further. It was our first time experiencing gusts of this sort. An experience that will last for a long time. 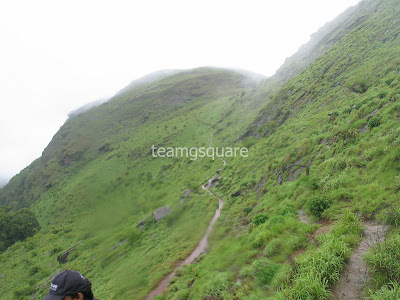 And since at that point in time, we were the only ones trekking that peak, we did not want to take any risk. We waited for the winds to slow down, but there were no signs of it. We then slowly started to walk down holding each others hands firmly and made sure every step was cautiously laid. The first few steps were the most challenging ones ever laid in our lives until now. It was equally exciting and frightening to have experienced such high speed winds. Once we passed the danger zone, everything calmed down and we walked back to our vehicle. 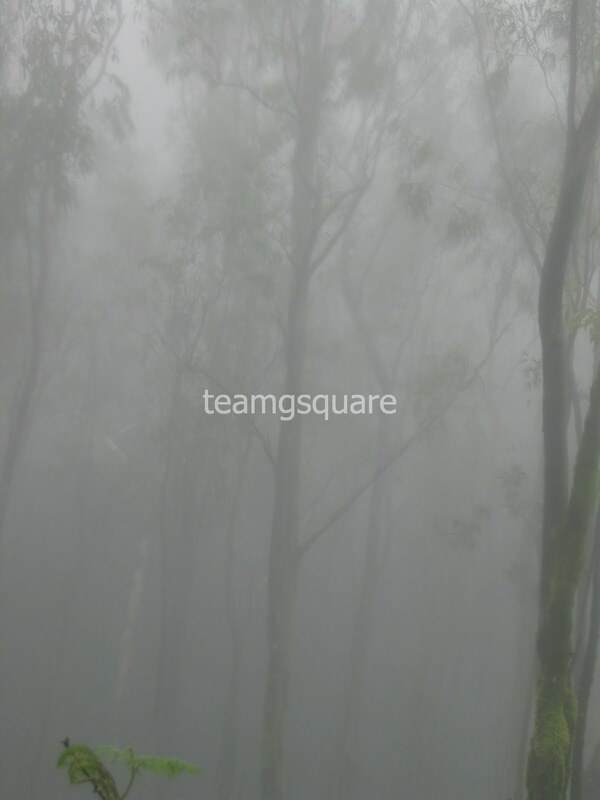 Oh, I do love the foggy captures! And, yes, nature at its best! What a wonderful, beautiful post for the day! Have a beautiful day!! Fabulous pics. The place is inviting. I missed out on the Z point when i visited chikmagalur a couple of years back. I only had a distant view. Well written TGS. Waiting for the continuation post. Lovely photos and a lovely place, why don't you try out a bigger layout that enables your pictures to be bigger? I felt the copyright bang in the middle of the images are a distraction though! Wet season in full swing! 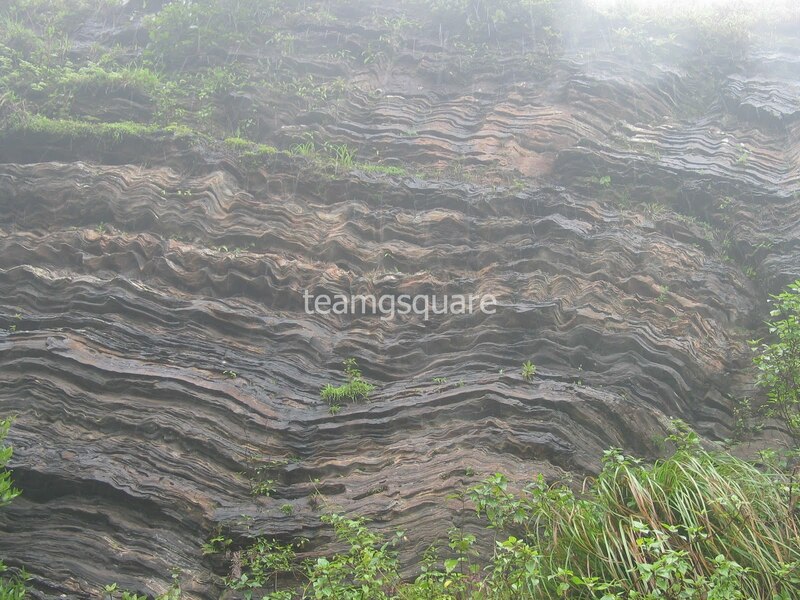 Good photos there, particularly the rock formation. I didn't expect the winds to be that strong but from what you have said, it appears really strong. Good call there to discontinue. 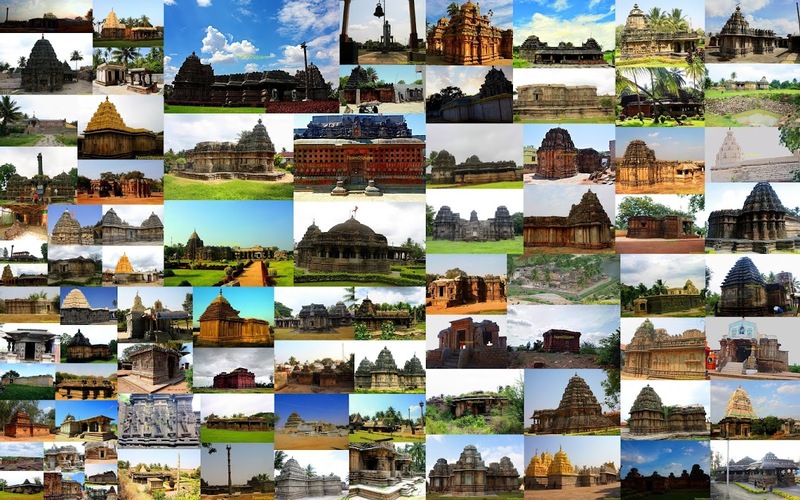 Beautiful captures of the place. Wow.. Amazing nature..Well captured..I loved these pictures..! Amazing pictures, so much greenery, You people are really adventurous!! Those were great pics. Waiting for the next part to find out if you discovered the reason behind the local advising you against going to Z point! Beautiful scenic place. I have been wanting to go here for long time now. Beautiful photos. I love the fog - so romantic! I lov dis place...I think u missed to take Waterfalls pick on the way to Z point. This is great Dhiraj :) Trekking is one of the most fun to do! And trust me even I want to experience the strong winds...must be quite an experience! the fog makes it so beautiful! 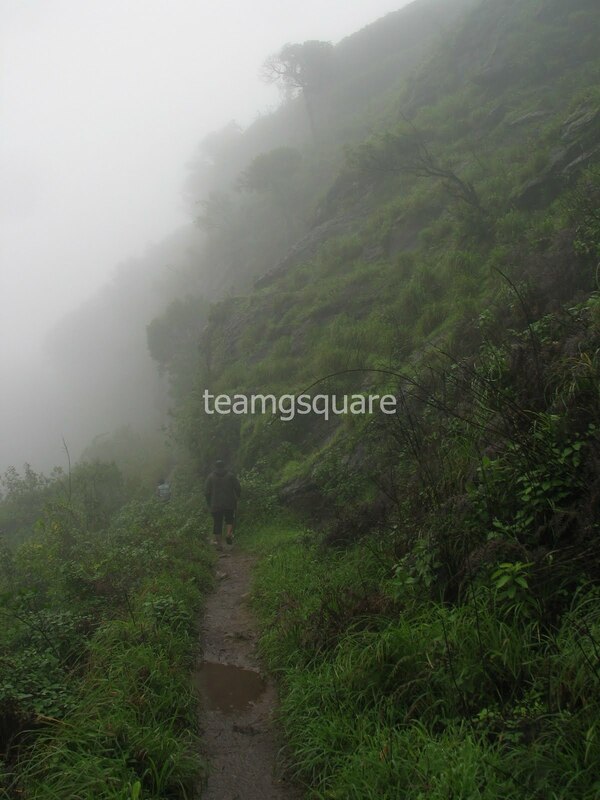 An adventurous trek & nice pictures! This post brings back memories of our visit to Kemmangundi some time June or July 1991. We rode the wet, windy and misty Chikmaglur-Kemmangundi route in darkness. On our way to Z-point, we got ambushed by leeches and abandoned the trek. For me Kemmangundi is the best hill station. "Colors of Life" reminded me of a walk on the same path, in a similar drizzle, few years back and all the leech bites I got. :) Thanks.